Ry and I went up to Disney on Friday. Instead of going to work, we decided to take the day off and go up to the HAPPIEST PLACE ON EARTH! 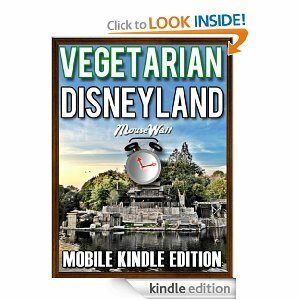 A few weeks ago, when I was looking on my Kindle for a new book to read (in the FREE section of course) there was a book called ""Vegetarian Disneyland - How To Find Great Vegetarian Food at Disneyland"". Of course I picked it up and flipped through it. We were aware of most of the veggie options around the park (at least the ones on the menus), but it reminded us of some of the ones we hadn't tried and wanted to hit up. For lunch we had Vegetarian Chili at the Harbour Galley. We hadn't had it before and were super excited to try it. It was so yummy! And who can pass up a bread bowl. Ry and I both said we think this will probably be a staple when we come (since it is a hearty meal and TONS of carbs :) ). Not to mention, there was a cool little patio dock that we got to sit on while we ate. Normally I try and steer us away from sweets, but I had heard about this treat before and I KNEW Ryan would love it. It is located right outside of the Tiki Room (fun show) and called the Tiki Juice Bar. Pineapple is the main ingredient (YUM). We had a Pineapple Whip Float (which is pineapple soft serve and pineapple juice). Ryan scarfed it down before I think I had 3 bites :) [Katrina - now you can't say I never give in to his sweet tooth or ice cream addiction :) ] I'm not a huge sweet treat person (unlike my husband), but since it is hosted by Dole (which sent us to Costa Rica last year) and is made of fruit, I decided I would give in at least this once. For dinner we went out to Downtown Disney and shared a pizza at Naples Ristorante. We had been there before - funny story - there is an individual size, then the next one is a large, and then the next size is a family (which is like a half a meter or something crazy). Well, Ryan looked at another table the first time we went and saw a huge pizza. He assumed that it was the family size, so ordered us a large. I think we each ate one or two pieces (they were huge pieces) and had to box up the other 6 for the ride home and the following days meals (you would have thought the price tag would have given us an idea for the sizes, when the large was still like $30, but I guess we just figured they were Disney prices and would still be smaller, HA). 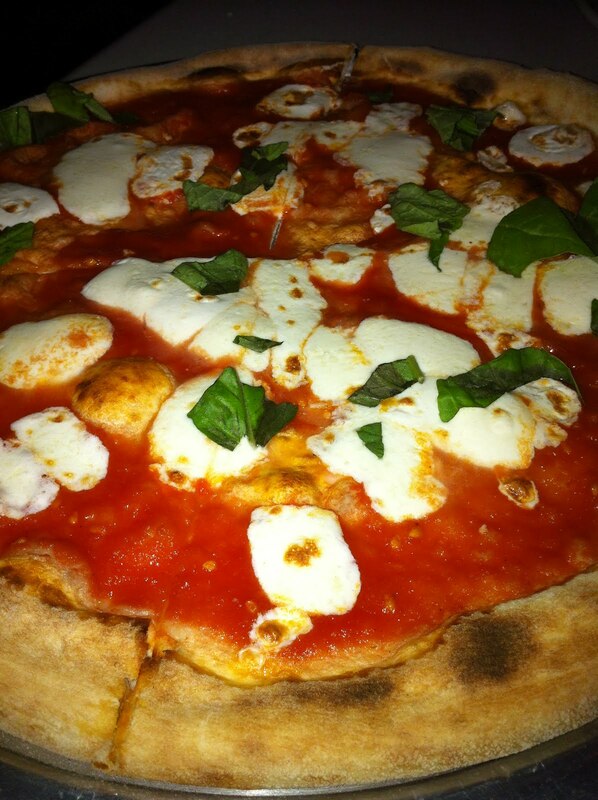 This time we split an individual size (which was still a 10" pizza) Margarita Pizza. All-in-all we had some yummy food and it didn't break the bank. I am sure we will definitely do the chili when we go again and maybe even try some of the other veggie options that the book recommended that we have yet to explore.